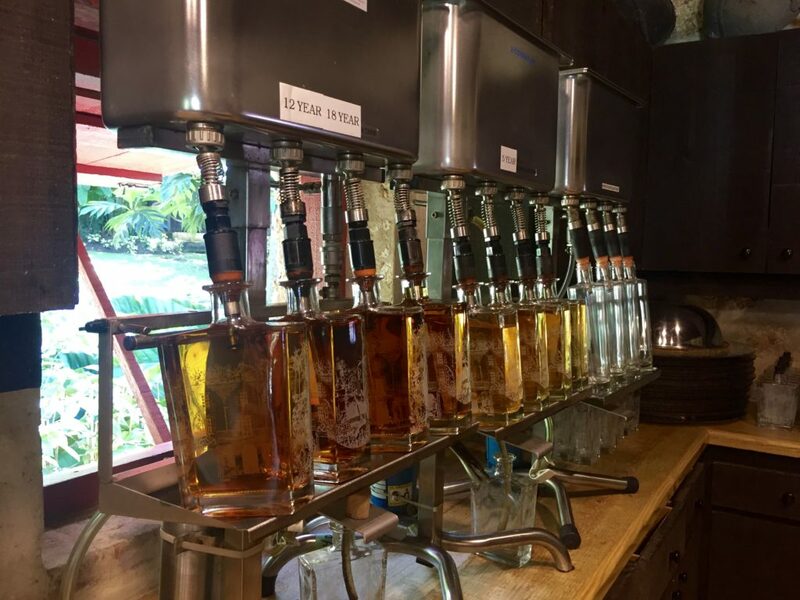 Find out about my visit to the traditional rum distillery and plantation house, St Nicholas Abbey in Barbados. The most famous export of Barbados – excluding pop star Rihanna and many exceptional cricket players – is rum. 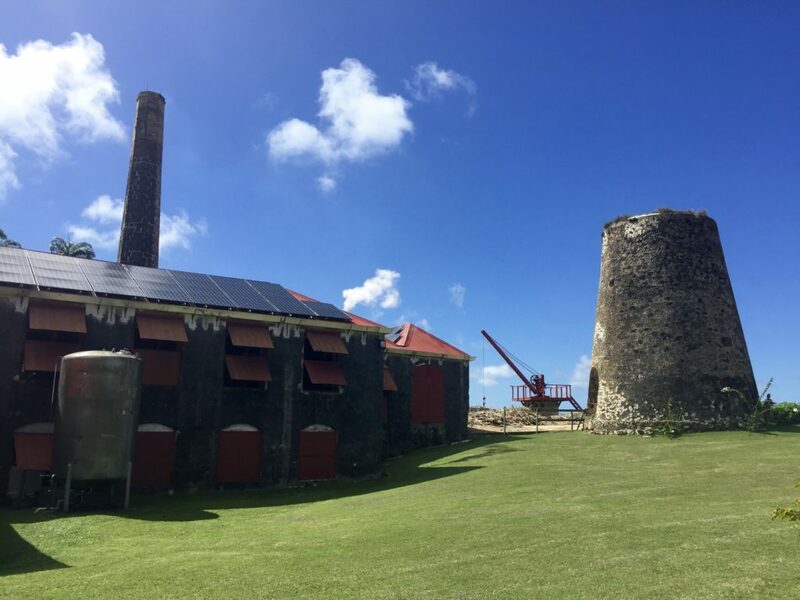 Naturally then, many visitors to the island flock to the island’s famous Mount Gay Distillery – the oldest rum brand in the world. Nowadays, Mount Gay – which dates from 1703 – is produced on a mass scale and owned by multinational sprit company Rémy Cointreau. 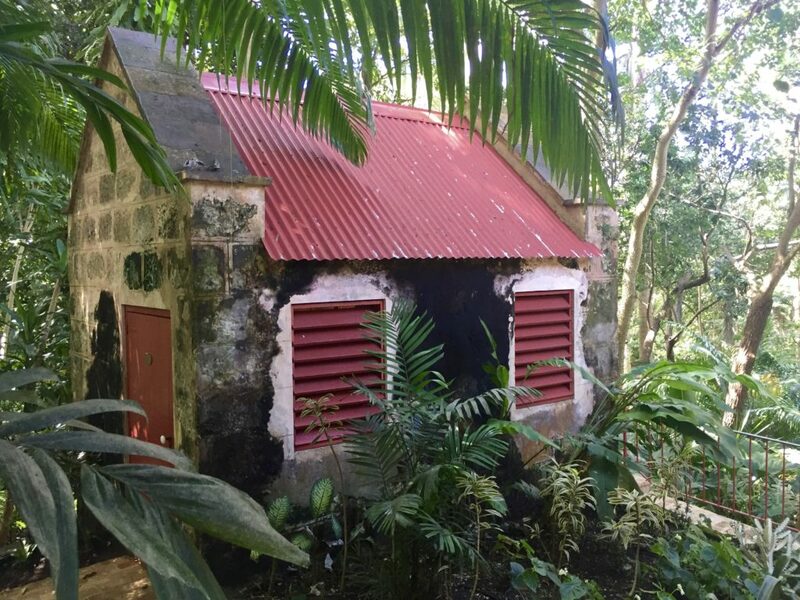 So where can you visit to see rum produced on a smaller scale in an environment more akin to its 16th century roots? One spot is St Nicholas Abbey, on the opposite northern end of the island to the bigger rum distilleries in the south – Mount Gay, West Indies Rum and Foursquare. St Nicholas Abbey isn’t actually abbey but a sugarcane plantation house. Englishman Colonel Benjamin Berringer built it in 1658. He was apparently killed two years later in a duel with the owner of a neighbouring plantation Sir John Yeamans. Fortunately, this had more to do with love than sugar – Yeamans was in love with Berringer’s wife, Margaret. He then claimed the estate as his own. Convenient. 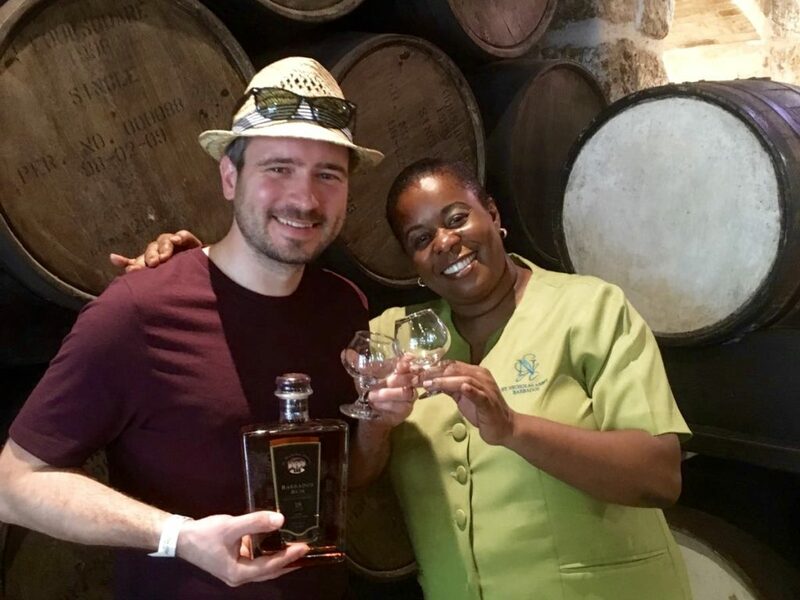 St Nicholas Abbey doesn’t sell itself as a rum tour exclusively because there’s so much more to see than just the distillery. Even the drive through the mahogany trees down to the house is spectacular. 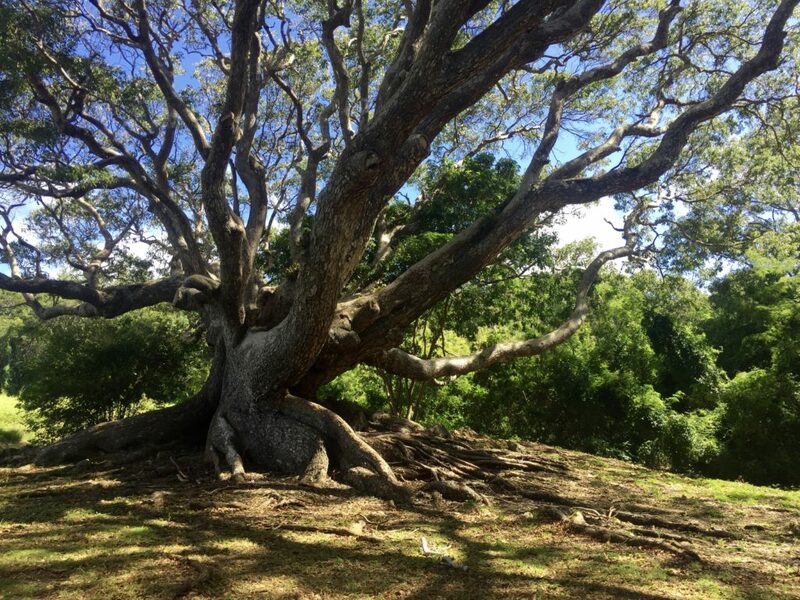 Then there’s an ancient tree in the car park, drawing wows with its wide trunk and thick branches looking like something from a fairytale book. Entry to the house and gardens, including the tour that takes in the distillery, is $40 Bds ($20 USD). Guided tours are every hour from late morning to 2pm and you can join tours mid-way through if you want. We were lucky that we arrived just as a tour was beginning. 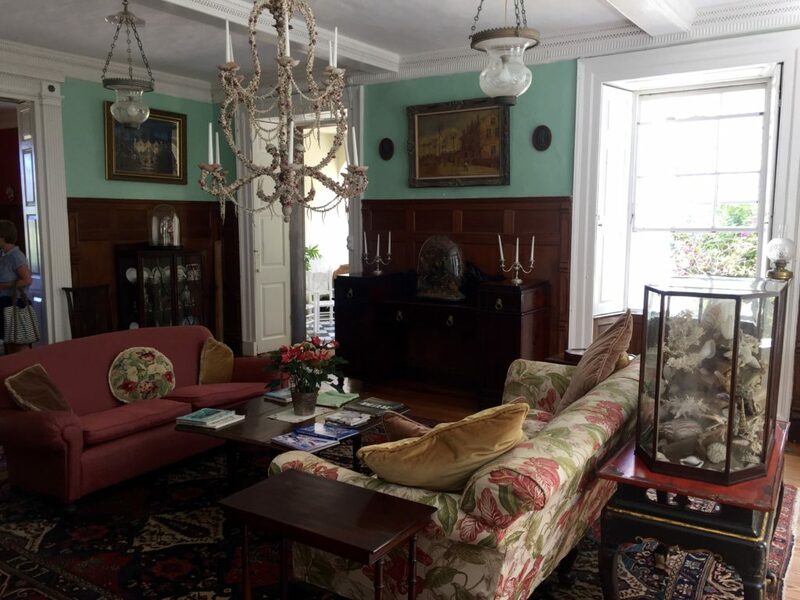 Our guide Samantha first took us through the house’s drawing room and study where we saw a mixture of Barbadian and English antiques, plus panelling made from the estate’s own cedar trees. 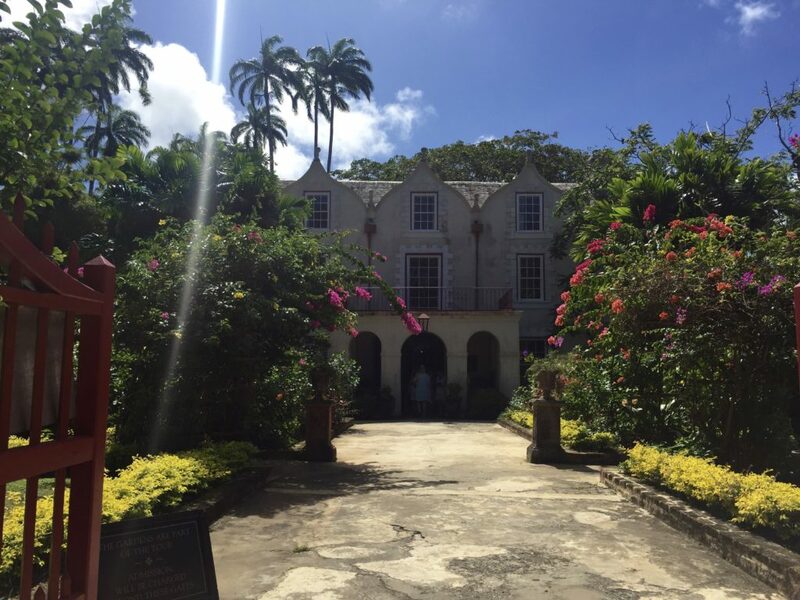 We then passed through the hallway, out the back of the house and under an imposing 400-year-old tree to a newly built museum and shop where we enjoyed a rum punch as Samantha told us more about the history of the estate. 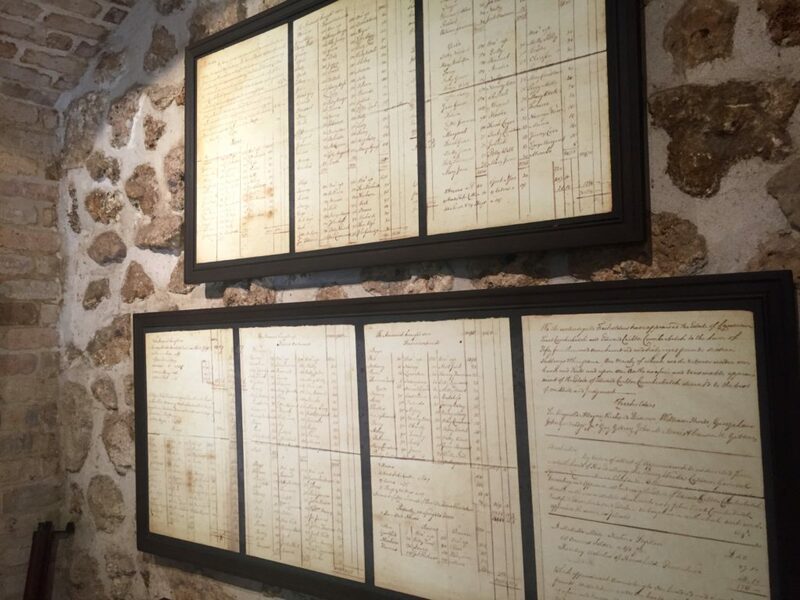 This included information about the slaves who worked on the plantation, the first of which arrived on the island in 1627. By the time the British government abolished slavery in 1834, there were more than 385,000 slaves in Barbados. Slaves were treated incredibly harshly to begin with, but conditions gradually improved thanks in part to several brave rebellions. These included the Bussa Rebellion in 1816 when more than 900 slaves were killed or executed. It’s shocking that slavery was still happening only 200 years ago and hard to believe it was all controlled in salubrious surroundings similar to what we were enjoying today. 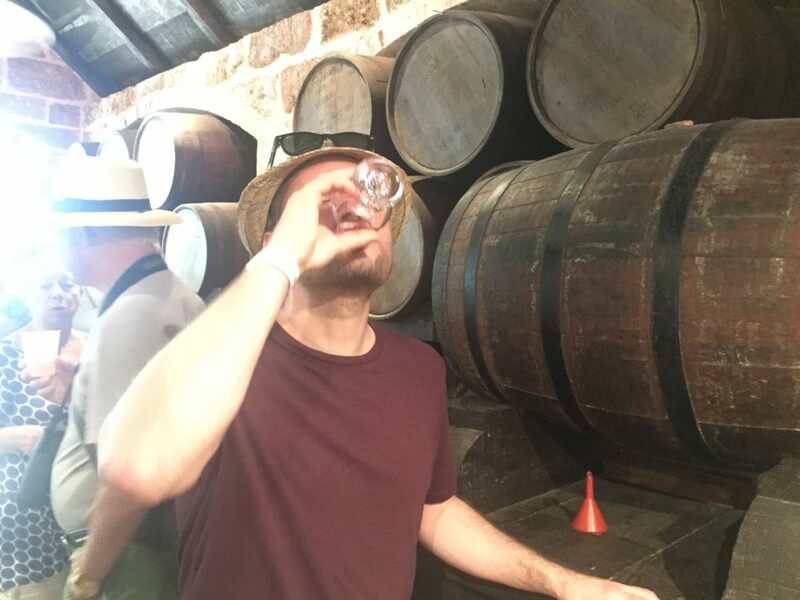 Next on the tour was what I was most excited about – the rum tasting. St Nicholas Abbey has only relatively recently started producing rum again. It makes it on a small scale, producing only 450 barrels a year. The project is part of St Nicholas’s aim of creating a sustainable business while honouring and highlighting traditional methods. 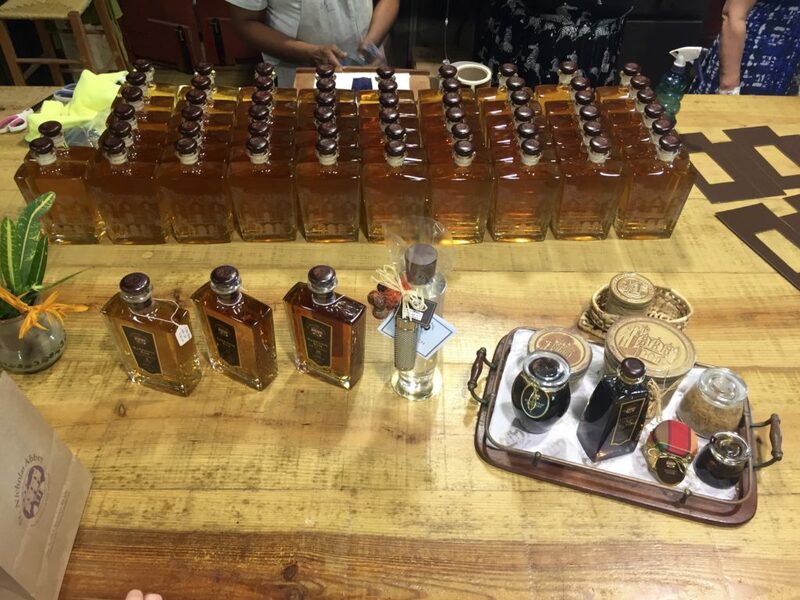 We tasted its five-year-old and 12-year-old rums. They’re both aged in oak bourbon barrels, imported from Kentucky, USA. 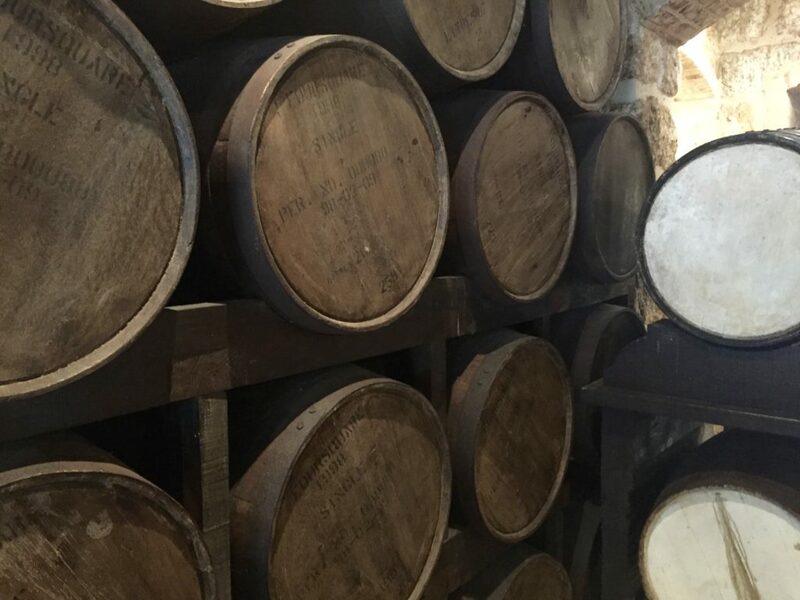 They’re unblended, meaning the distillery doesn’t add any other types of rum to control the taste. Served straight with no need for ice and mixers, they were both very smooth and easy to drink. This is unlike some of the less expensive, blended rums more common on the island that slip down much better with some coke and ice. St Nicholas also sells an 18-year-old rum, again matured in bourbon barrels, plus white “Bajan see-thru” rum. 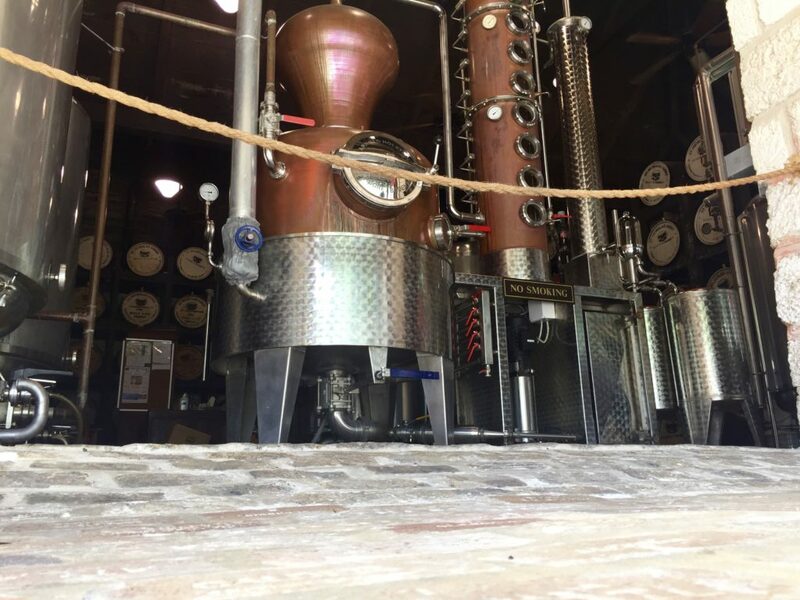 The white rum is aged in stainless steel vats for three months before it’s ready for drinking. Bajan see-thru is the basis for all the rums, which get darker the longer they’re matured in the barrels. 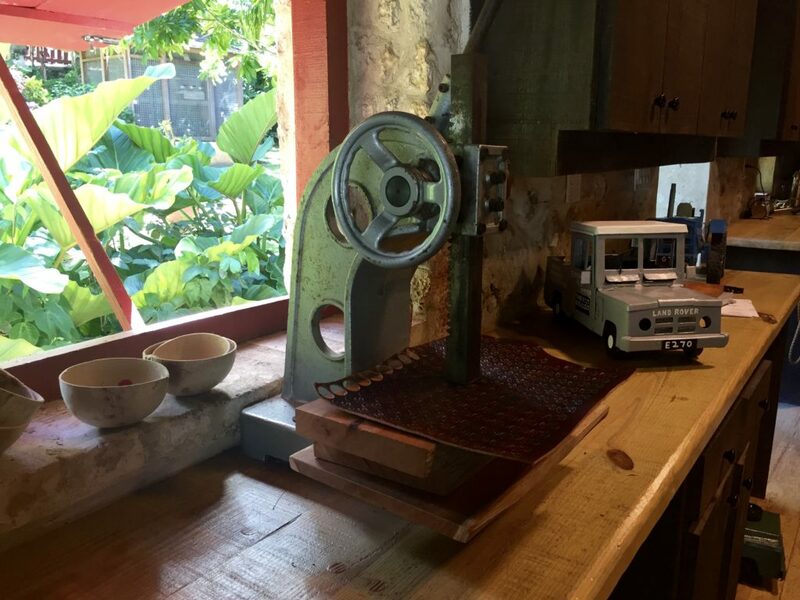 Our next point of call, after viewing a short and fascinating home movie showing scenes of Barbadian life in the 1930s, was the rum bottling plant. 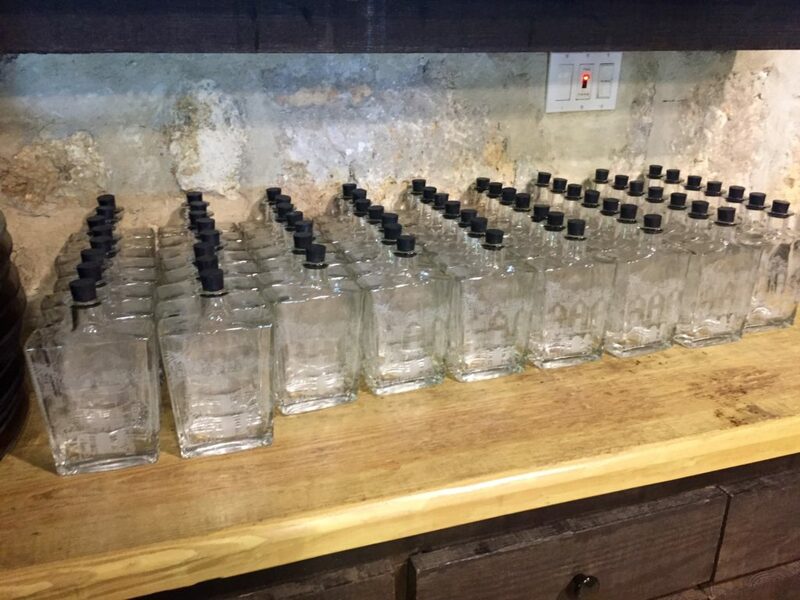 Here, staff were filling and labelling the posh-looking bottles by hand and then sealing them with St Nicholas’s trademark mahogany-capped cork. 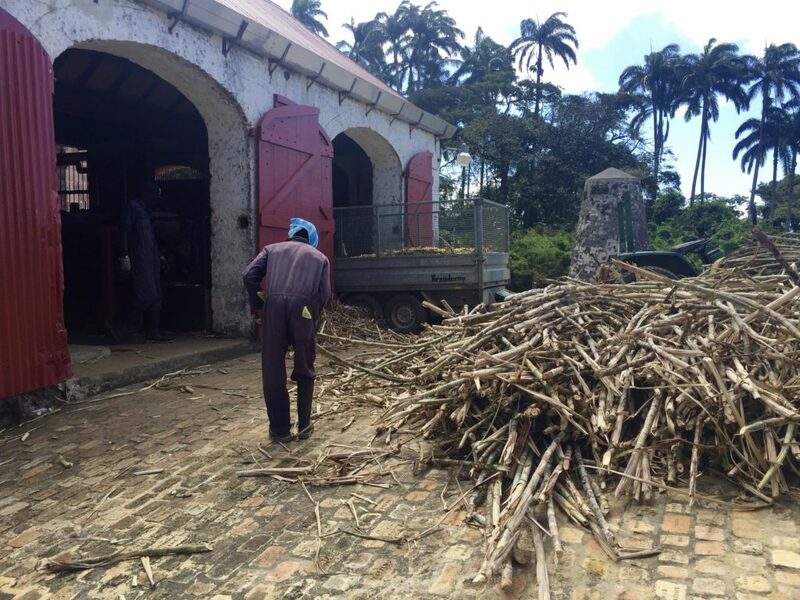 Finally, we made our way to the distillery to find out how St Nicholas turns the humble sugarcane into rum. 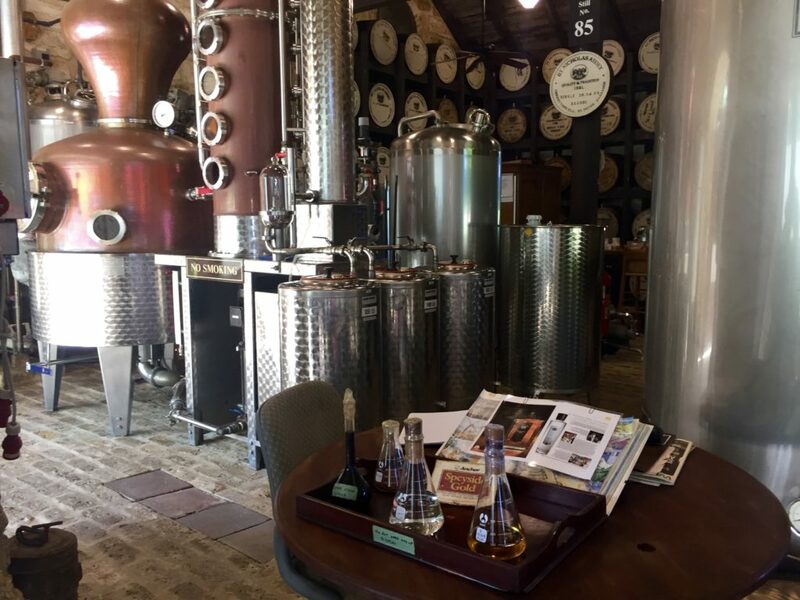 St Nicholas’s custom-built distillery, which includes the fermenters, kettle and various tanks, is named “Anabelle”. It uses a pot still rather than a continuous still, which produces rum in small batches. First, workers feed the sugarcane into the steam mill by hand to crush it and extract the juice. They then put the juice into a vacuum evaporator that turns the juice into syrup. The distillery can then use the syrup for rum production by reevaporating it. 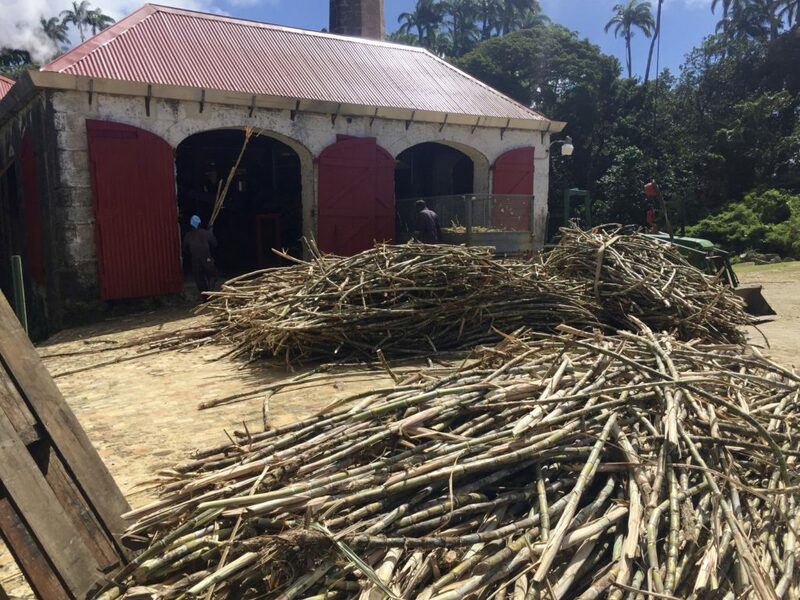 This means it can produce rum all year round, not just in the sugarcane harvest, which runs from January/February to June. 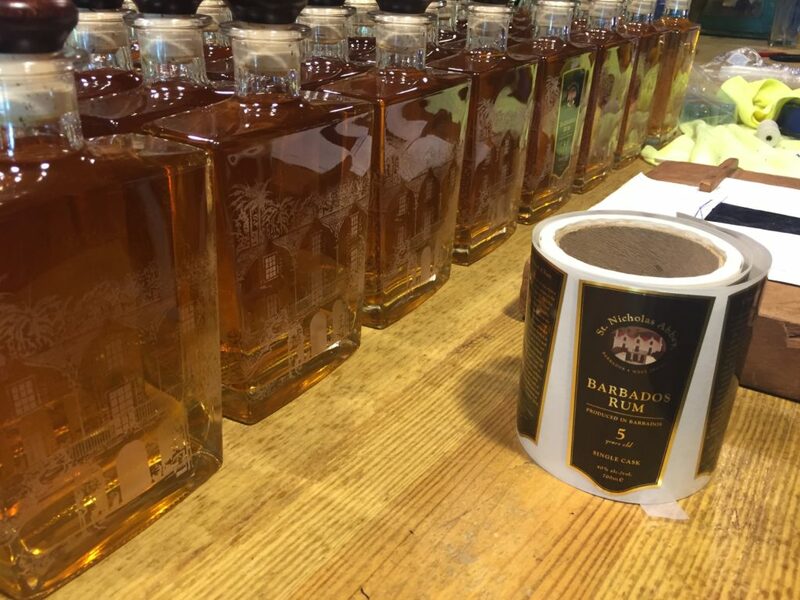 It’s a different method to Barbados’s other distilleries, which make rum from sugar molasses rather than syrup. Today, in the second half of January but the first days of the 2017 harvest, workers were feeding freshly cut cane into the crusher at the back of the distillery. Next, the yeast and water is added to the syrup in a fermentation tank. This produces a slightly fizzy wine. The wine then goes through several tanks at varying temperatures where it evaporates and is drawn off into the condenser where it cools into alcohol. Finally, the rum is diluted before it’s added to the barrels or vats for ageing. Sounds simple? In theory, it is. But when I looked at the distillery in front of me, with pipes, tanks and various gauges in all directions, it’s clear that it’s anything but. Hence why the Warren family – the current owners of St Nicholas Abbey – enlisted the help of Richard Seale in setting up the distillery. Mr Seale is the master distiller and blender at Foursquare, another one of Barbados’s rum brands. We finished off the tour with a little wander around the beautiful lawns around the house. If we weren’t en route to see Bathsheba and the rugged east coast of the island, we could have spent even longer on the estate. I haven’t been on tours of Barbados’s other, bigger rum distilleries. But I’ll bet a shot that none provide a more authentic – or beautiful – view of the island’s rum-producing tradition as St Nicholas Abbey. Info: St Nicholas Abbey is at Cherry Tree Hill, St Peter, BB 26007, Barbados, West Indies. Phone (246) 422-5357 or (246) 422-872. Unfortunately, there are no advertised buses to the house. It’s best to rent a car or get a taxi. You could also get a bus to nearby Bathsheba and get a taxi the rest of the way. 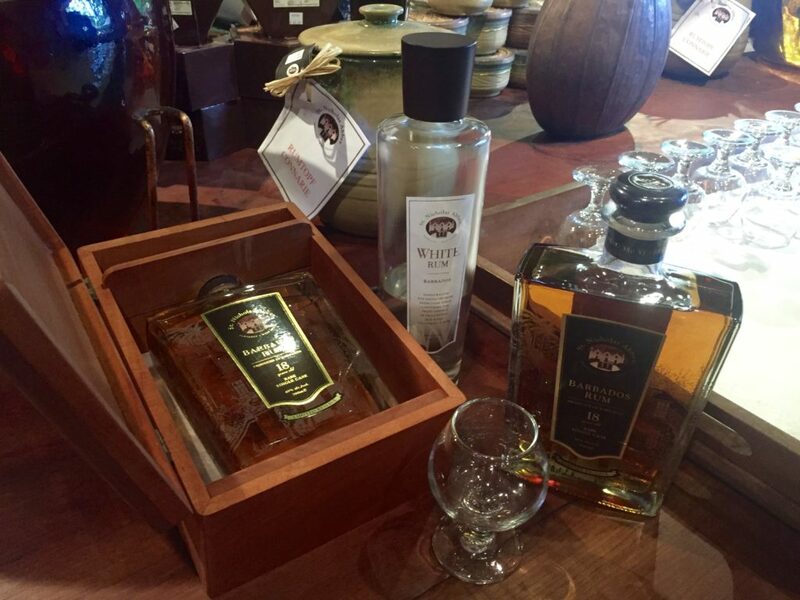 In Barbados, St Nicholas’s rum is only available directly from the on-site shop. Abroad, it’s available from certain outlets including Fortnum and Mason in the UK and online from Berry Bros and Rudd and Master of Malt. Thank you for sharing your blog and experiences, this was very interesting and insightful. Cheers!